When: Sat., May 4, 1-4 p.m. 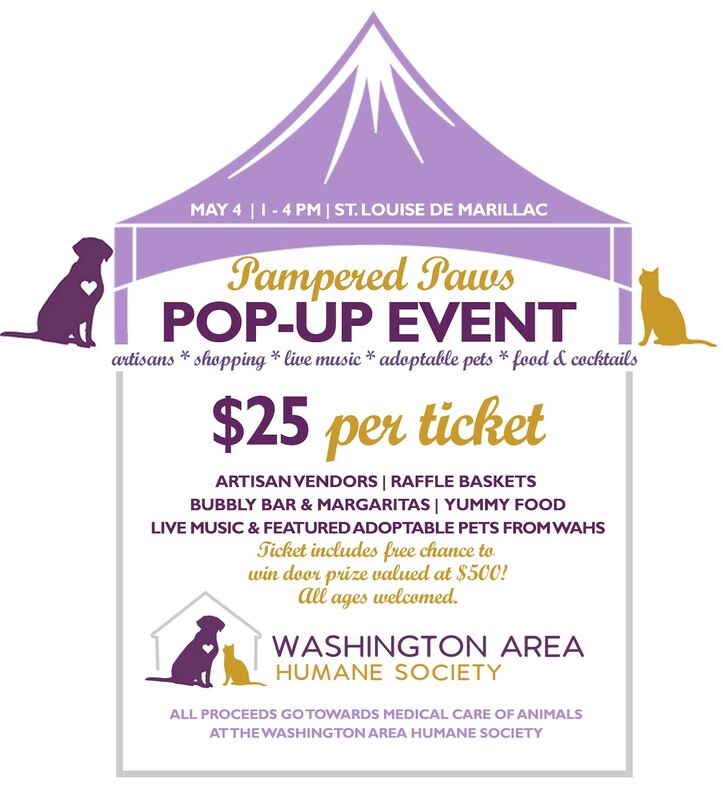 The Washington Area Humane Society is hosting a "Pop-up event," featuring items from local artisan vendors, live music, adoptable pets, raffle baskets, a door prize, food, and cocktails! The event is being held at St. Louise de Marillac in Upper St. Clair on May 4th, from 1-4 pm. This is an open house style event where you can pop in, shop, and grab a cocktail! 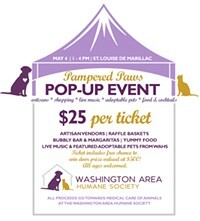 All proceeds go towards the medical care of animals at The WAHS. Tickets available online at https://interland3.donorperfect.net/weblink/weblink.aspx or in person at The WAHS.